If you have not already noticed, 2014 is really two years in one, with version 2.0 beginning right about now. 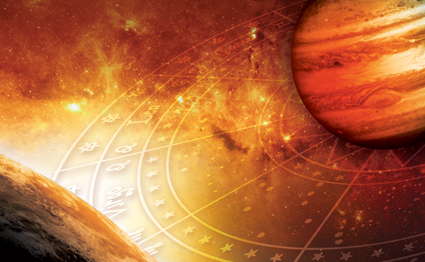 With all of the inner planets direct, with Jupiter entering a fire sign and with Mars coming home to its native Scorpio, a whole new concept of life and of astrology is reaching out to us. I will be unfolding this brand-new aspect pattern for all 12 signs and rising signs in my midyear reading, called Good as Gold. We have all been through a lot the past eight months of the cardinal grand cross and with all of these inner planet retrogrades. Some of the work has been about clearing out the past, some has been profound inner work, and the aspect pattern did not make day-to-day living any more convenient. But under this astrology, we got a lot done -- more than you may recognize, and the next five or six months will build on that progress. It's not often that the astrology points to an authentic new beginning, or the potential for one. However, as the next few weeks unfold, that is exactly what happens. And I will be exploring this in its full potential for all 12 signs and rising signs. In particular, Good as Gold will explore the relationship between self-esteem, creativity and money. The three are so closely interwoven that in a successful person they are indistinguishable. While you're on the way there, these elements need to be understood one at a time, as specific concepts, goals or challenges. Then with some imagination and good astrology, they can be integrated and worked with as one idea. I will provide ideas, strategies, motivational rants (my speciality) and ideas I've learned in therapy to get the blocks out of the way, access your courage, and invoke your vision for yourself. Jupiter is about potential, but that also means that the human part of the equation is making that potential real. Sometimes Jupiter grants gifts, and sometimes it points to where we can reach for more. In Leo it will be doing a little of both. How do you manage the transition out of something old that is not really working and into something new, with the simultaneous demands of a learning curve, balancing yourself financially and staying inspired? These and other things are what I will be exploring. Good as Gold is available for pre-order now. We're introducing this at $39.95 for all 12 signs. As usual, we start with the lowest price for all 12, gradually raise the price, then sell one reading for about what we were initially asking for all 12. The first price increase will be Monday. So now is the time to get the best rate on the whole package, so you can listen to your Sun, Moon and rising signs, and check in with the readings for your collaborators or business partners. The price increase has been delayed because I have not quite had a moment to write this letter. We will leave the introductory price in place for another 48 hours -- till Tuesday just before midnight EDT, when it will go up by $10. Eventually we will offer the signs individually. 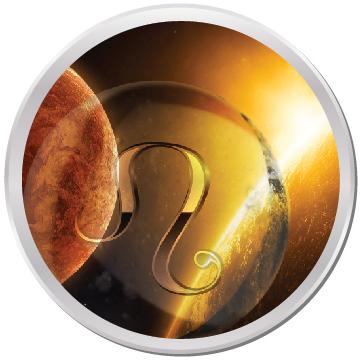 Note -- Good as Gold will include a community conference call to discuss the new astrology. We anticipate that being sometime in early August, right after the readings are made available. And Daniel Sternstein and I have composed some excellent theme music for the project -- our way of reaching into the "music of the spheres" and giving the astrology a voice in tone and rhythm. Thank you for your business, and for trusting me as your astrologer in these wild times. As always, it's a pleasure to serve you.